Deal alert! The Apple Watch Series 3 Nike+ Edition (GPS + LTE) is now on sale at its pre-Christmas price at B&H Photo Video! Regular Series 3 Apple Watches typically retail at around $279, but if you want to add cellular connectivity on top of GPS support, you'd have to spend another $100 or more. 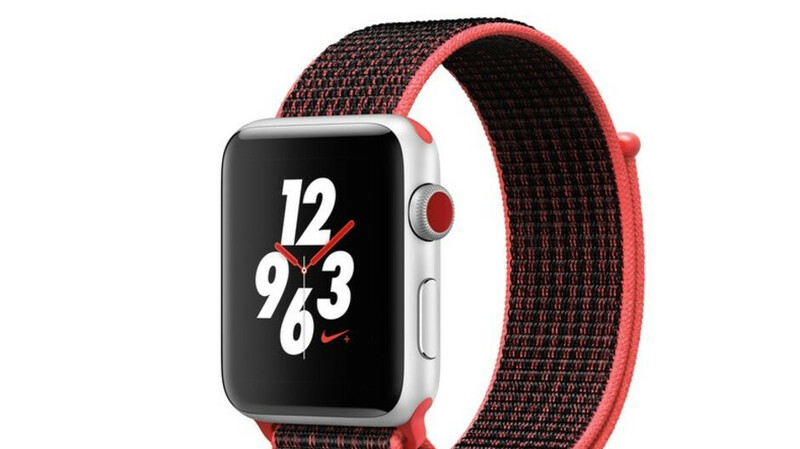 This is a very specific model on sale right now at a whopping 125 bucks off its list price, with a 42 mm silver aluminum case and a love-or-hate Nike Sport Loop coated in an interesting combination of bright crimson and black. This Apple Watch Nike+ Series 3 version is usually priced at a whopping $409, and somehow, B&H is able to mark that down to $284 without cutting any obvious corners. You’re looking at brand-new units here, backed by a standard 1-year warranty, with free shipping included. If this deal interests you, feel free to follow the above link to B&H. At the time of writing, B&H is observing Shabbat, so delivery will begin on Sunday.